How businesses that use Joblogic differ from others and why they are the number one choice. Building service and maintenance contractors face the daily challenge of managing a high volume of jobs at multiple customer sites with a mobile workforce. If companies use a manual or spreadsheet system to try and organise their service operation, it often becomes chaotic and will lead to them failing to meet SLAs. Joblogic centralises the contractor’s service operation into a single cloud-based system. The software is available via any device with an internet connection 24/7. The Mobile App works completely offline for field operatives meaning that they can continue to work even in areas with no signal. By investing in world-class software, the Joblogic contractor has demonstrated their commitment to efficiency, compliance and customer success. Keep reading to find out why Joblogic contractors are a cut above the rest. 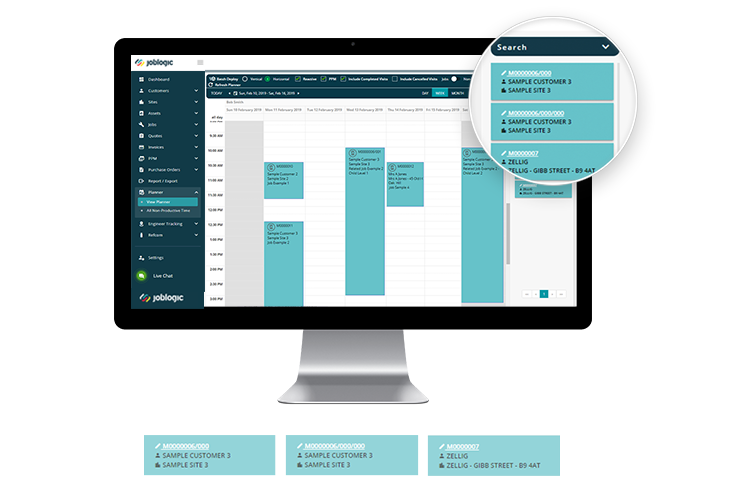 Punctuality –With Joblogic’s Planned Preventative Maintenance module, engineers will never miss routine work. This improves punctuality and ensures a high reputation for service companies. Strong Communication – Our Mobile Engineer App enables engineers to keep track of tasks and maintain effective communication with field members, ensuring deadlines are met. Increased Productivity – While using Joblogic, businesses can see an increase in productivity. Time that was once used for travelling and paperwork can be used more effectively. 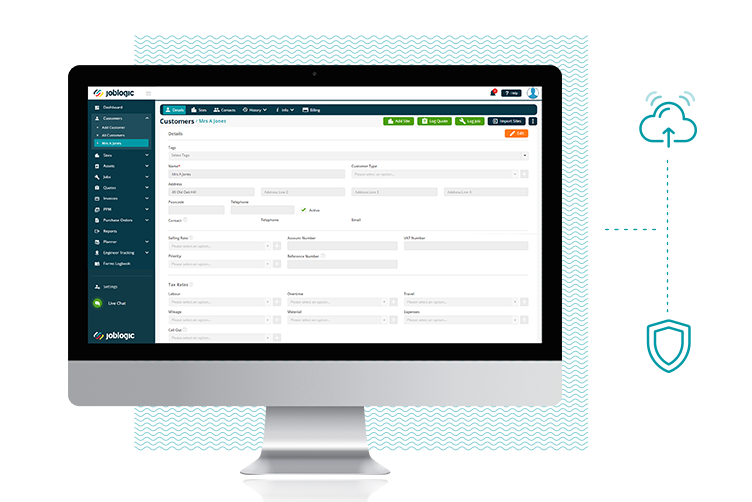 No Delays – With Joblogic’s Invoice module, a company’s cash flow is never affected. Invoices will be sent electronically on time and with no delay. 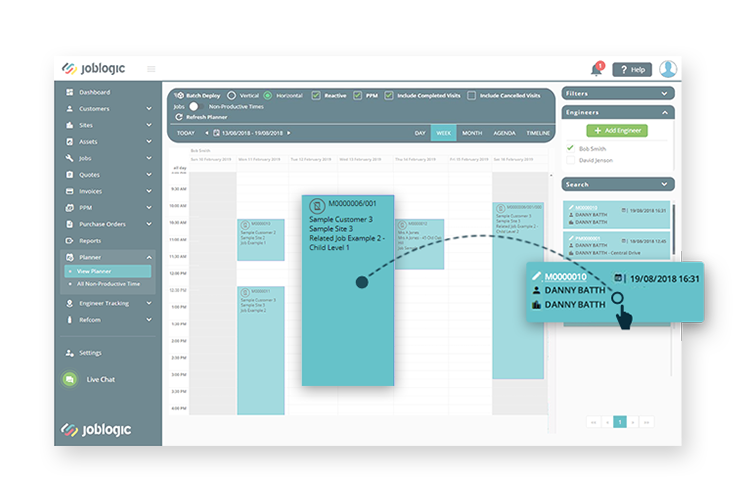 Keeping Track – Using Joblogic’s Scheduling feature ensures all service companies are up-to-date with their tasks. They can keep track of job statuses and engineers within a user-friendly system. More Tangible – Joblogic provides the opportunity for real-time updates on jobs and engineers. This means a company is always aware of what is going on with projects. Always Prepared – With our Asset Management module, service companies will know all the relevant materials used on a site and what needs purchasing before starting a job. For example, they will know when an F-Gas bottle needs refilling. Customer Orientated – By choosing a firm who uses Joblogic, you will gain access to our Customer Portal. This gives you online access to data such as quotes, invoices and reports. Also, you will see real-time status updates for jobs. Instead of receiving time-wasting calls and emails, you will communicate to clients via the Customer Portal. Industry Knowledge – Evolving from an HVACR organisation, Joblogic understands the requirements and pressures of service industries. Therefore, we know the high level of customer service which is expected. Diverse Features – Joblogic is not only specific to one industry; we cater to a wide variety of service industries. From landscaping to roofing, plumbing & heating to catering equipment, we comply with almost every business within the service maintenance sector. 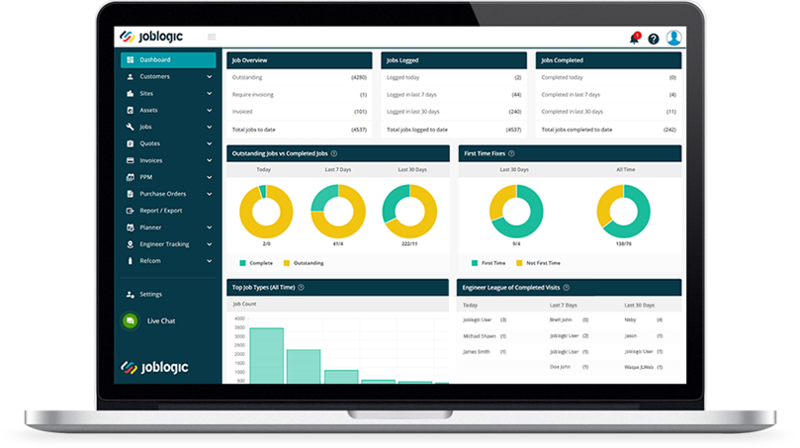 GDPR Compliant – When you pick a company who uses Joblogic, you can feel confident in knowing that they are able to comply with the GDPR (General Data Protection Regulation). They can delete customer information and produce a full customer data report on demand. Eco-Friendly – Companies who use Joblogic conduct their work paperlessly, meaning they are environmentally friendly. High Security – Joblogic is hosted on the Microsoft Azure Cloud Platform with 5-10 minute backups and world-class security. Additional Time –As Joblogic allows work to be performed electronically, businesses have more time to take on additional jobs and the ability to complete them to a higher standard. Improved Performance – By using our software, service companies will have more time to improve the business itself. This means when you employ them, you can assure it will be carried out to a high standard.